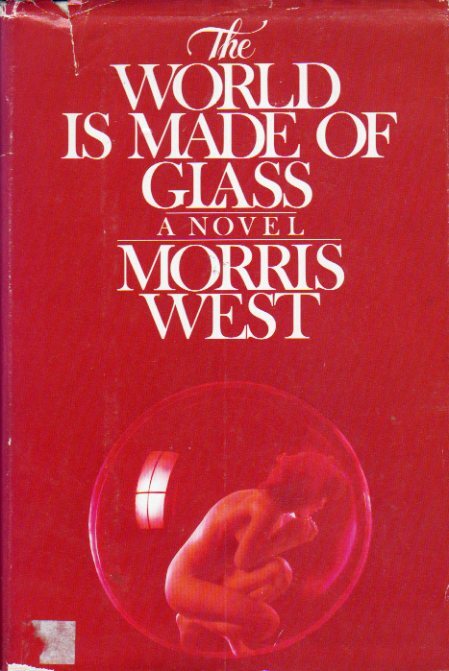 The sexually voracious Magda opens Morris West’s The World Is Made of Glass. She has just accidentally killed a lover in a Berlin house of appointment. She is a trained but not practicing doctor, an aristocrat and amoral. She’s also in a bad way, having alienated her daughter, her horses and her dogs. People and animals avoid her. They sense that something has gone very wrong with her soul. She is perfectly set up for a marathon two day session with The Doctor of Soul, Carl Jung. Here is an exceptional novel that uses a Jungian analysis as narrative device, the second of three that I’m writing about on this blog. Morris West goes before Timothy Findley in using Jung as not just a character in his novel, but Jung as a first person narrator. This is remarkable literary self-confidence. The trick in using a Jungian analysis as narrative device is to avoid two people sitting in armchairs, just talking, as the main story. The therapy sessions are moments of reflection and revelation. They are preparatory to where life propels. The easy way out is to recount the doctor and patient dialogue, although it is not very exciting for the reader. This was my chief concern when writing Powder Dreams. Findley uses the extraordinary circumstances of Jung’s initial engagement with Freud as the backdrop for his novel Pilgrim. This must be around 1908-1909, when events in Jung’s life provide ample story to keep a reader on edge and interested. For The World Is Made of Glass, West uses the final stage of Jung’s break with Freud in 1913. Jung has left the Burghölzli and is spending an inordinate amount of time making small villages of pebbles and sticks, what is outwardly a ridiculous pursuit for a grown man. But West takes you convincingly into what was going on in Jung’s head as he toiled at these mini cities. And also as Jung deals with having both a perfect wife, Emma, and an adoring mistress, Toni Wolff. His break with Freud is integral to the story, too. This is the secret of West’s approach to the novel. There are two parallel first person narratives: Magda as she begins her final meltdown and Jung as he embarks in his own trip to madness. West takes you deep into their thoughts and each is portrayed in rich detail. He does it not just as flashbacks and contemplations of the past, but as Magda and Jung sit face-to-face in their sessions. The carefully written sexual tension carries more than one scene. The Jung scholars will fault West for a few details, the most glaring being Jung’s constant worries about money. Jung married the second wealthiest woman in Switzerland. He never had money worries afterwards. 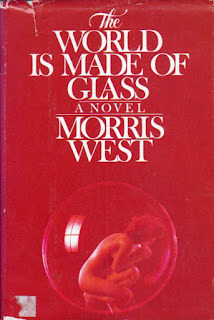 But West manages the story brilliantly and The World Is Made of Glass is full of absorbing characters and stories. Q: As you're writing, do you ever have a picture of the reader that will be attracted to that particular story? A: At times in the past, I tried to imagine an audience of one, someone with whom I was sitting and telling a story. This technique never got me very far. One day I was driving back from a sporting clays shoot, which is one of my pastimes in the UK (they have great shoots here). I was listening to "Desert Island Discs" and Stephen King was on. He said that the very first person he tries to please when writing is himself. It was such a simple idea and yet so often overlooked. It has been my guide ever since. If I don't find the material interesting, few others will. The interview covers a lot of ground: creative process, the link between writing and Jung for me, etc. The full interview may be found here.